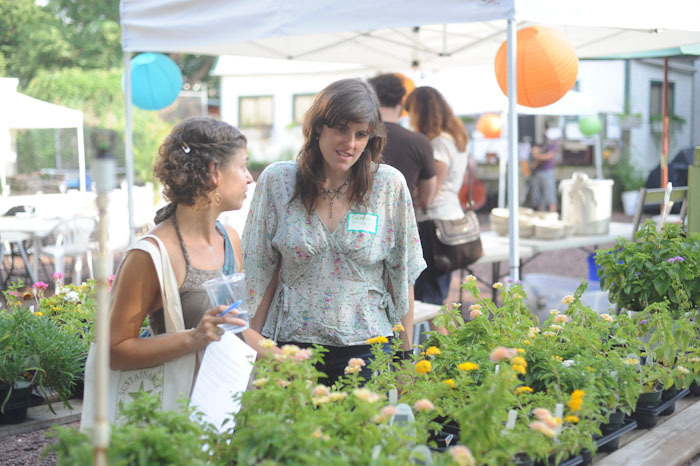 NKCDC Garden Center | Where you can find gardening tips, resources, and upcoming events! Neighbors Chipping in to Recycle Trees! Once again the city of Philadelphia is not recycling Christmas trees left at the curb! Trees left at the curb will go into landfills, produce methane gas and contribute to global warming. Bummer, right? Join us in making our community Clean and Green by participating in Treecycling! On Saturday, January 8th volunteers from EKNA, ORCA, and FNA will be joining NKCDC to chip as many trees as possible! BEFORE – Drop off your trees anytime between December 26th and January 8th at Greensgrow Farms (2501 E. Cumberland Street) or the NKCDC Garden Center (Frankford & Berks). DAY-OF – Feel free to bring your tree directly to the chipper on January 8th! ROUNDUP – Put your trees curbside before 9am the mornnig of January 8th, and volunteers will be by to grab it! $5 suggested donation. Please remove all tinsel and decorations!! Brought to you by Bartlett Tree Experts, FNA, ORCA, EKNA NKCDC, Sustainable 19125, and Greensgrow Farms. More info please email sustainable19125@gmail.com. Christmas Cheer, and Trees, at the Garden Center! Come join us at the Garden Center for the Frankford Avenue of the Arts First Friday celebration in December. 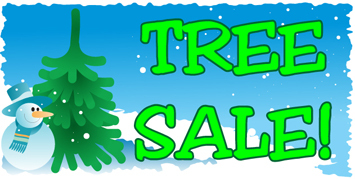 Starting December 3rd to December 5th 2010, the Garden Center will be bringing the neighborhood some cheer as we preserve our holiday tradition of selling Christmas Trees for another year! Come witness the transformation from Garden Center to winter wonderland complete with Christmas trees, free coffee or hot chocolate, festive lights and decorations, and all kinds of holiday spirit! As usual we will be offering free Christmas tree delivery for any trees purchased over the weekend. 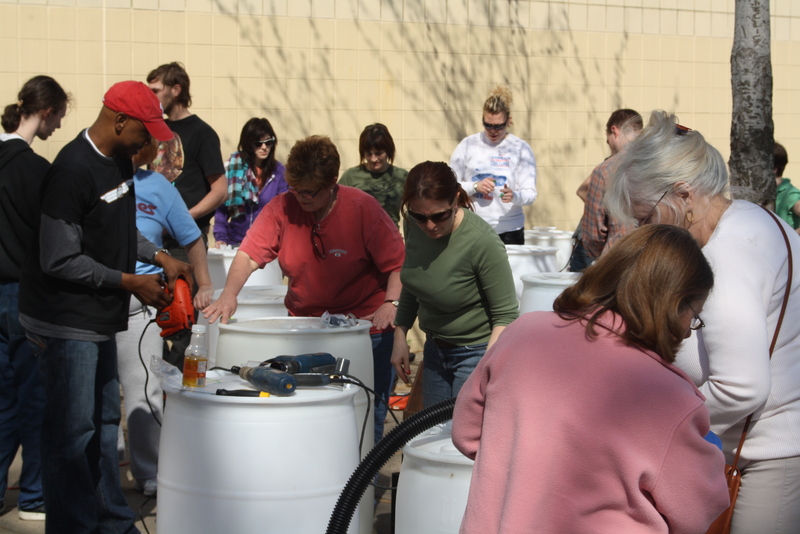 DIY Rain Barrel Workshop at the Garden Center! Drought or deluge, Philadelphia can’t seem to catch a break when it comes to water issues. Installing a rain barrel outside of your home or business can help conserve water when we need it most and offset storm water runoff when it rains. Plus, building your own is a lot of fun! Come join us at the NKCDC Garden Center for the first in a series of DIY rain barrel workshops led by our good friends at Sustainable 19125. 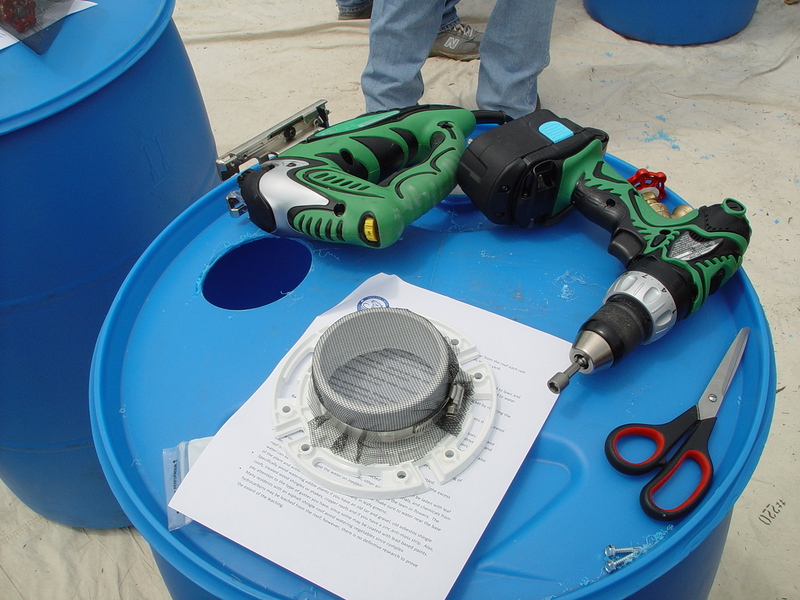 If you are interested in building your own rain barrel (no experience required! ), the date to remember is Saturday, October 16 from 12:00-3:00 PM. Donations are suggested to cover the cost of materials, but no one will be turned away due to a lack of funds. Please RSVP for this workshop by sending an e-mail to sustainable19125@gmail.com or by calling Jamie or Toby at 215 427 0650 x 133. And if you can’t make it to this workshop, don’t worry! Just send an e-mail to the folks at Sustainable 19125 and they’ll happily keep you in the loop about all the fun and free upcoming rain barrel events. Get ready for two great workshops to kick off the Fall season! 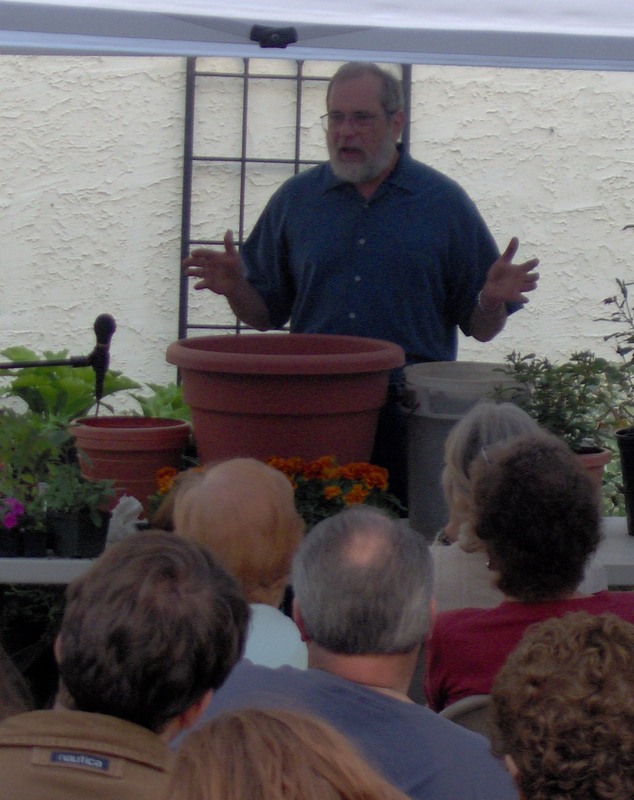 September 25th 12pm – 1:30pm: Mike McGrath will discuss the many ways to grow a fall vegetable/herb garden. Mike McGrath hosts the weekly, nationally syndicated Public Radio show, “You Bet Your Garden” (www.youbetyourgarden.org) an hour of “chemical-free horticultural hijinks.” YBYG airs every Saturday morning at 11 on WHYY-FM (90.9 FM) in Philadelphia, reaching listeners throughout Pennsylvania, New Jersey and Delaware. The show also airs on Public Radio stations across the nation. Saturday, August 7th through Saturday, August 14th we are offering 30% off all flowering perennials! Our current stock includes, but is not limited to: Hosta, Butterfly Bushes, Yucca, Canna stop in Monday through Saturday 9 am to 3pm to see all of our plants. 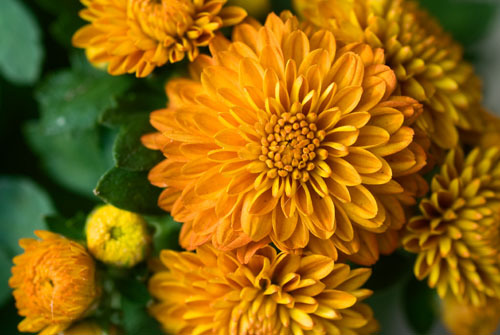 The Garden Center will close August 14th @ 3pm to prepare for our fall stock. We will re-open on Friday, September 3rd for First Friday on Frankford Avenue, hours 5pm to 7pm. Work Ready Program Cleans Up a Vacant Lot! Teens Go Green to Inspire Community! Hello everyone! 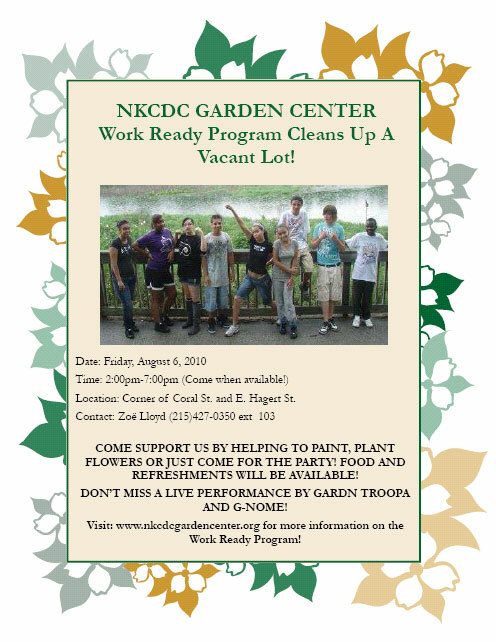 We are the NKCDC Garden Center WorkReady Summer of Service Program. We are 10 teenagers working to help the community be aware of how the environment affects them and how we are affecting the environment. We are going to create a mural and small garden to help prevent graffiti. By doing this, the community will be safer for families because it reduces the amount of drug dealers in the area. We aren’t just doing this for their community, but to inspire them to improve other communities. Stay tuned for more! WE ARE NOW CLOSED FOR THE WINTER SEASON! THANK YOU ALL FOR MAKING FALL 2010 A SUCCESS!